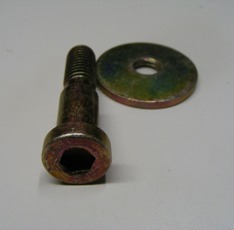 1970 - 1992 Camaro Trans Am door jam striker bolt set. 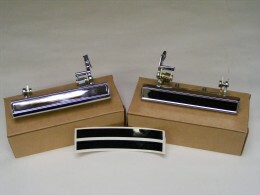 This is a 1970-1992 Camaro Trans Am door jam striker bolt 2 pc set. Also available on our site is a NEW door jam striker washer. Sold Individually. Includes the bolt and also the washer. Note 2 units needed per car. These are solid stem units which replace the factory part which had a "band" on it that was prone to wearing out. Replacing with the solid stem units will prevent premature wear on weather seals and the door hinges along with the door latch mechanism. Install is simple takes under one minute to do at home.